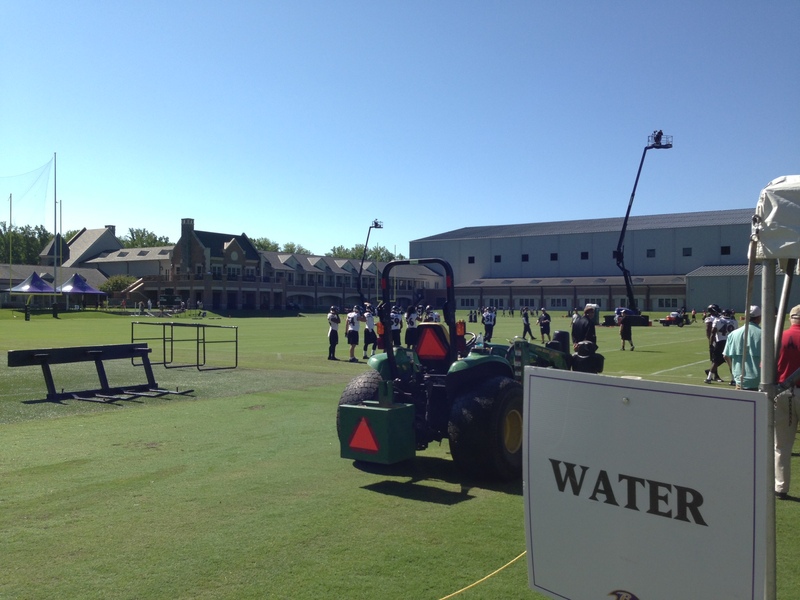 It was a treat to be invited by one of our Elders to the Baltimore Ravens’ training facility in Owings Mills a few weeks ago, which is by invitation only (as opposed to the larger venue at M&T Bank Stadium). 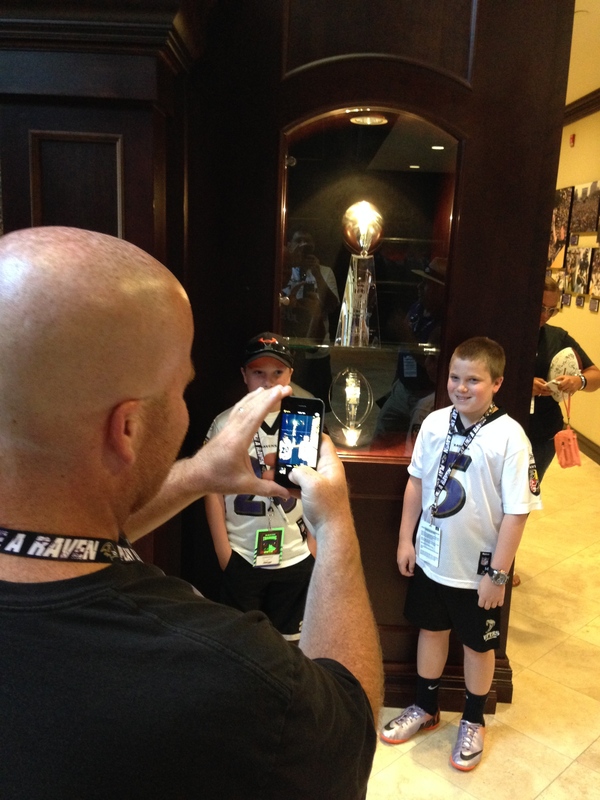 Through another friend who works with the team, we were also permitted to enter into the complex and view the team’s two Super Bowl trophies. What a thrill to be at field level watching these athletes. They are stunningly fast and observably sleek. Their movement is precise and seemingly effortless. When they strike the blocking machines you can almost feel the force from the stands. Following practice the team autographed footballs, jerseys, posters and hats for the children. But we adults were equally awed with the event. Having grown up a sports fan, any brush with professional athletes has always been the coolest thing. I still feel like a kid when watching them practice, even though I am twenty-five years older than the oldest player on the team! Yet what reached me most deeply was in observing our Worship Director and his twin sons. The photo at the top of this post really says it all – a Dad and his boys. They were his joy and the stars of his photographs. Amazingly we enjoy no less pleasure from the heavenly Father, even more. What a sweet picture of God and His people – a Father and His children. We are unfinished, and His love for us is complete. We are weak and He is strong. We get lost and He finds us. We are immature, and He is eternally wise. We obey imperfectly and He delights over us with singing, His lens ever fixed on us because of Jesus. I know the tyranny of unbelief, how it creeps into our hearts and thinking, wrecking joy and imposing it’s own version of a twisted righteousness that is neither righteous nor beautiful. More than anything, it obscures us from the Father – and this is sad. However to our sometimes despairing spirits and fearful hearts the gospel freshly announces to us that we are not orphans! Nothing Jesus did – on the Cross and in His Resurrection – is wasted. In Christ, we are God’s daughters and sons (John 1:12). « What Difference does it Make? You are currently reading Adored at unfinished1.